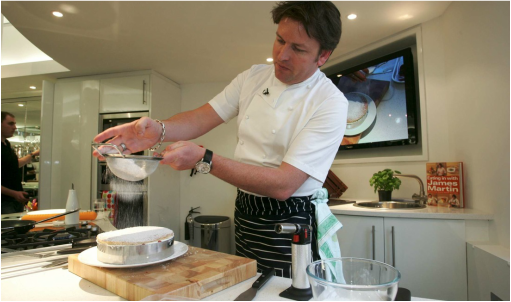 James Martin is a fantastic chef and a great spokesperson. He elaborates with great credibility and his sense of humour truly lightens the atmosphere. As a chef, he is very well known across the UK for his expertise in food. You can find one of the interviews he did with BBC Leicester down below about potatoes and the endless ways of cooking a potato. If you're interested in a chef for any radio or TV interviews please get in contact with us. James was born in 1972 in Malton, Yorkshire. He was brought up on the Castle Howard estate where his father worked as a catering manager. At 16 he began his formal training at Scarborough Technical College, where he was Student of the Year for three years running. After catering college James went to work for Antony Worrall Thompson in the kitchens of One Ninety Queen’s Gate in London. James went on to work for many leading chefs in London including Marco Pierre White. He then toured France, working in chateaux kitchens and gaining experience in Michelin star establishments. When he moved back to England, he took up a position as junior pastry chef at the acclaimed Chewton Glen. In 1994, just a few weeks short of his 22nd birthday, James opened the Hotel and Bistro du Vin in Winchester as head chef, where he became famous for changing the menu every day. It was a spring-board to the hotel opening up nine more hotels over the next 10 years. In 2006 James became the presenter of popular BBC One show Saturday Kitchen. The show is a Saturday morning staple, regularly attracting viewers in excess of 3.5 million. In 2007 James appeared as co-host of The Great British Village Show on BBC1. 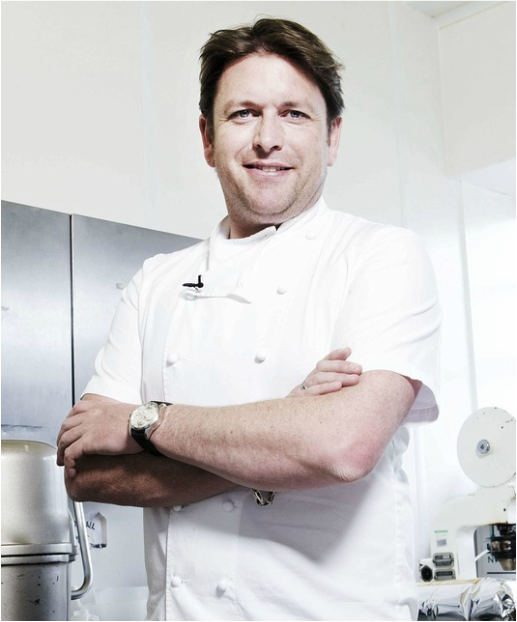 He finished off the year with a series on UK TV Food called James Martin’s Christmas Feasts. The following year the 30 part series, Eating with the Enemy, was broadcast.